Maldivians can now travel to Bangkok without obtaining a visa. Foreign Ministry revealed that the visa exemption for Maldivians traveling to Thailand had taken effect starting Sunday, April 14. Under the exemption, Maldivians who travel to Thailand for tourism purposes are eligible for visa exemption up to 30 days. A return ticket confirming that the traveler will be returning back to Maldives within 30 days from date of entry, and completed arrival cards are necessary to avail the exemption upon arrival in Thailand, revealed Foreign Ministry. The travelers should be carrying an adequate amount of money, the minimum being 20000 Baht which is equivalent to US$ 630 for a single traveler, and 40,000 Baht (US$ 1260) for a family. Under the policy, if the stay has to be extended beyond 30 days for any reason, Thailand Immigration can grant one extension, and the period of extension will be decided by Thaland Immigration, informed the ministry. Also under the policy, a traveler can enter Thailand through a land route once an year. Strict penalties have been set up for those who enter and reside in Thailand in violation of the regulations, which includes deportation, detainment and fines. If a traveler overstays the visa period, a fine between 500-20000 baht will be charged. 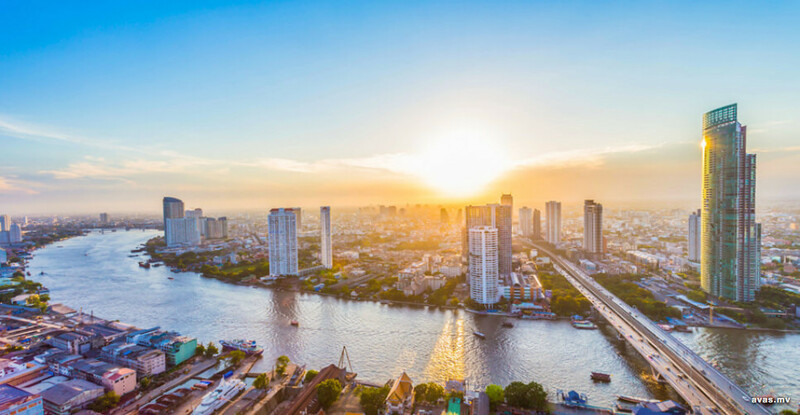 If the traveler overstays visa period by 90 days, the person cannot re-enter Thailand from the date of his depature for an entire year, in addition to being fined, while a traveler who overstays by 90 days will be banned from entering Thailand for three years. If a the person attempts to leave the country through another international border, action will be taen against such a person. If such a person has overstayed visa period by an yer, the person will not be allowed to travel back to Thailand for a period of five years, and if the overstay period is longer than an year, the person cannot enter the country for ten years, said the ministry. Since President Ibrahim Mohamed Solih began administration, liberal visa policies have been worked out with neighboring India. The government is also working towards finding solutions to the visa problems faced by Maldivians in Malaysia.